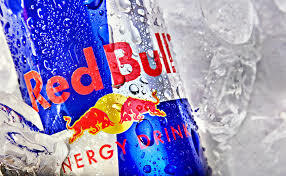 Emails are being received that claim to be from ‘Red Bull’. 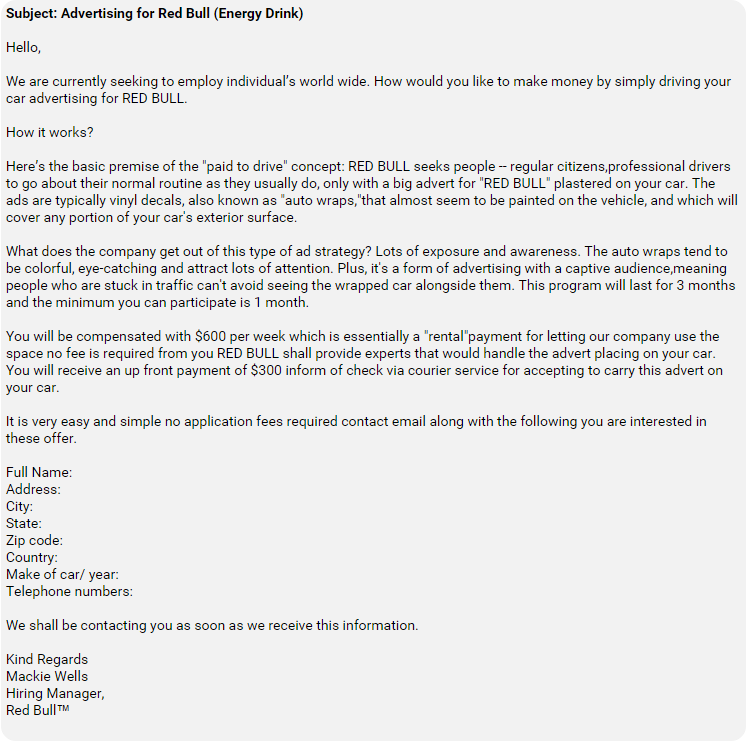 They offer to place Red Bull ads on your car for $600/week. They explain the benefits of the “business offer”, and promise easy money that will basically pay for the whole car, gas money included. A sample of the email, below. Unfortunately, if something seems too good to be true, it usually is. The first payment received is usually larger than originally agreed upon. The CyberCriminals apologize for the “error”, and requests the you to wire the ‘extra’ money back to them, minus the your ‘fee’. Oh yeah, and the cheque you were sent, was either a forged or stolen cheque, or a fraudulent wire transfer from an account that was illegally taken over by the CyberCriminals. In both cases, you’ll be charged with fraud and money laundering. This scam originally reared it’s ugly head during spring break in 2014. 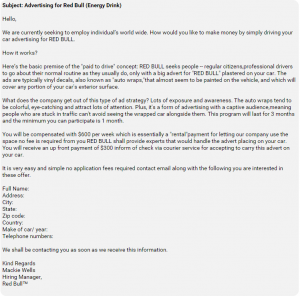 If you receive an email, or see an ad on Social Media stating it’s from Red Bull and offering you an opportunity to “work from home”. Delete it immediately. Beware of internet “work from home” schemes. Most of them are fruadulent. Warn family, friends, coworkers and employees.